It’s interesting how many people ask me what is forex trading. Almost every time someone asks me what I do and I tell them I trade the forex market, this question inevitably comes up. Below I’ve put together a few question and answers that are most commonly asked to help you understand a little more about what is forex trading, what it involves and what are the pros and cons of this opportunity. The answer is simple really- it is the acronym for Foreign Exchange Trading. What does forex trading involve? It involves trading currencies of different countries around the world. What this means is that you exchange one foreign currency for another, and as with any investment opportunity, to make a profit with it you have to buy low and sell high. Why choose to trade foreign exchange instead of futures or equities? There is actually tremendous potential in forex trading, which is what makes it such a huge draw for millions of people around the world. It also offers a host of advantages over speculative trading in stocks, futures and other equities. What affects the rate of the various currencies? You’ll be surprised at the answer. Just about anything can affect the currency rates for the day. It could be a global incident that occurred half way across the world or a totally unexpected incident that happened in your neighborhood. You never can tell and that only adds to the allure of forex trading. Can you trade in any currency? Well, yes you can but you will find that the forex market is dominated by a few major currency pairs, including the US dollar, British Pound, Euro and Japanese Yen. Because of the fewer number of factors that need to be tracked, most traders find it a much easier market to follow. Does that mean that trading is restricted to only the major currencies? No, that’s not what it means. A major percentage of trading is done in those few currencies but there are several brokerages that offer wider trading opportunities in the less commonly traded currencies. 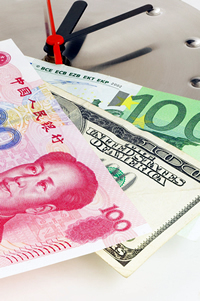 What Are The Pros & Cons of FX Trading? This is among the most important things you need to know before entering this volatile market. The most significant pro is that the forex markets trade 24 hours so you can trade any time you want to and from anywhere that you want to. You do not have to wait for the starting or closing bell and you do not have to go to any office to trade. You can trade part time for a couple of hours every day from anywhere, whenever you have the time. 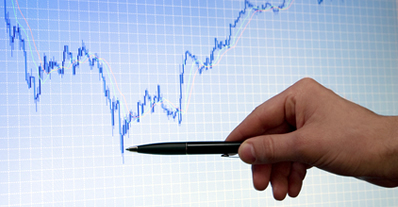 Another huge advantage with the forex market is the liquidity that you can avail of. Unlike the stock market, there is no minimum or maximum limit so you make the decision based on your comfort factor. The one big con that you have to watch out for is the forex scam, which could be in the form of false promotions, hidden fees, extra commissions or outright theft. The best way to safeguard yourself is by studying as much as you can about what is forex and also about forex technical analysis and forex alerts. Forex trading can be overwhelming when you are just starting out but with a little bit of help you’ll be fine in no time at all. As with anything preparation and a lot practice using dummy accounts, watching tutorials and doing your due diligence is the best way to start, while minimizing risk.